It arrived like this photo below……boring….vanilla…..very NOT exciting. I see this so often when I am shopping! A great idea….a solid design….purely functional…but absolutely ZERO personality! PAINT PEOPLE! Paint changes everything! And you can do it! 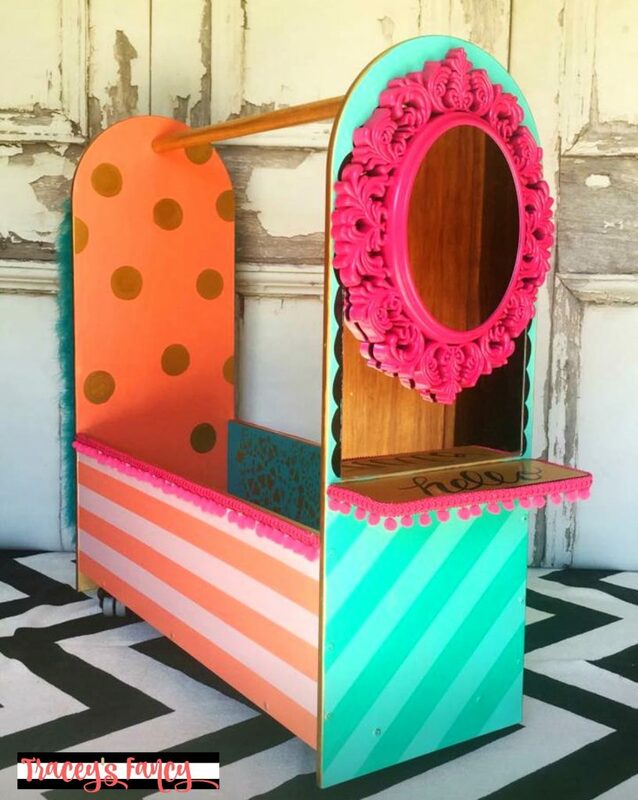 Not just to this dress up cart, but to absolutely anything that you even remotely like……anything can be made personal and unique with just a little vision and a good quality paint! 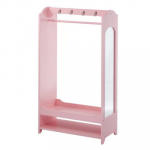 PS- There are a ton of similar dress up storage units on Amazon on sale now: like this dress up unit (currently in stock) or this dress up center (out of stock) or this one! (Also out of stock) Check around because they sell out quickly! 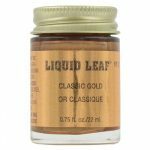 They offer a full line of colorful paints with the cutest and most memorable names. 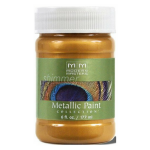 The paint is chalk mineral based and does not require sanding or priming prior to painting. The coverage of this paint is amazing! 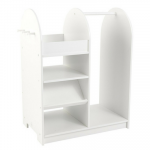 This allows you a quick and easy project….and opens up even more time to add details that will make your project YOURS! 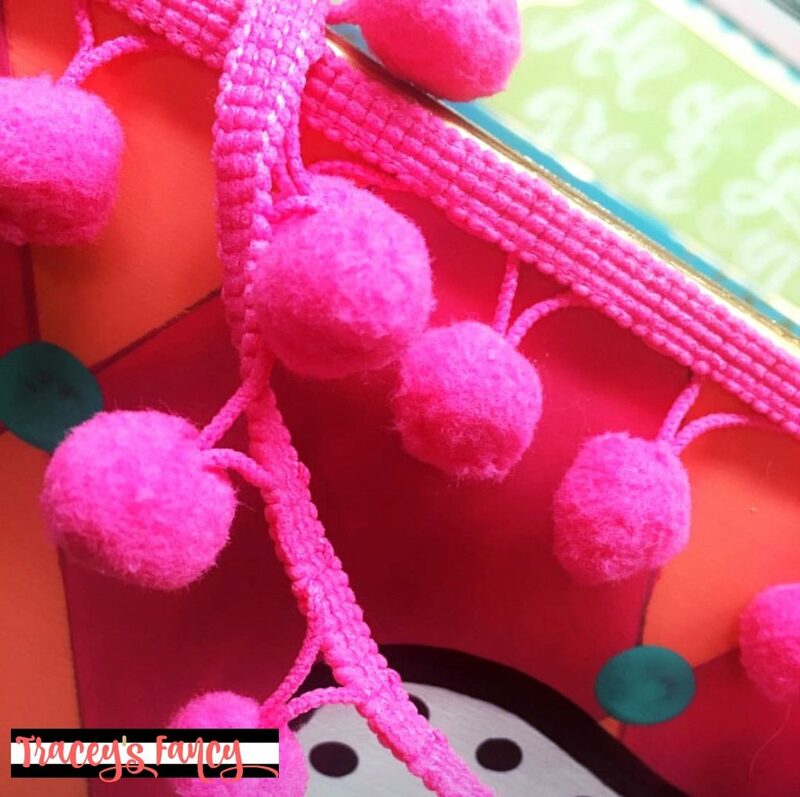 I LOVE details…..lots and lots of details! I coated the entire piece in Dixie’s Flamingo, which is the sort of peachy pinky orangey color you see. I then chose the harlequin pattern for the front…using their bright pink called Peony. I absolutely love how these two colors play off each other. 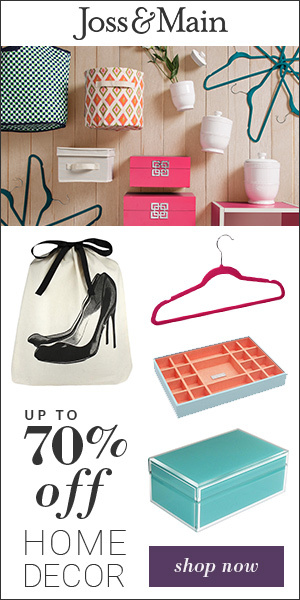 Spin the cart around….and I paired the Flamingo with a horizontal stripe in Soft Pink. How adorable is this end with the mirror??? The original design came with a mirror in place…but it was not framed and was completely boring. So I decided to add this brightly colored baroque-style frame ON TOP of the boring option. Instant personality!!!! I then painted the little shelf in Modern Masters Metallic Olympic Gold , hand lettered the word “hello”….and topped it off with a row of ball-balls for added BAM! L.O.V.E …..I.T. sooo much! Ball-Balls? Ball Fringe? What do you call it? 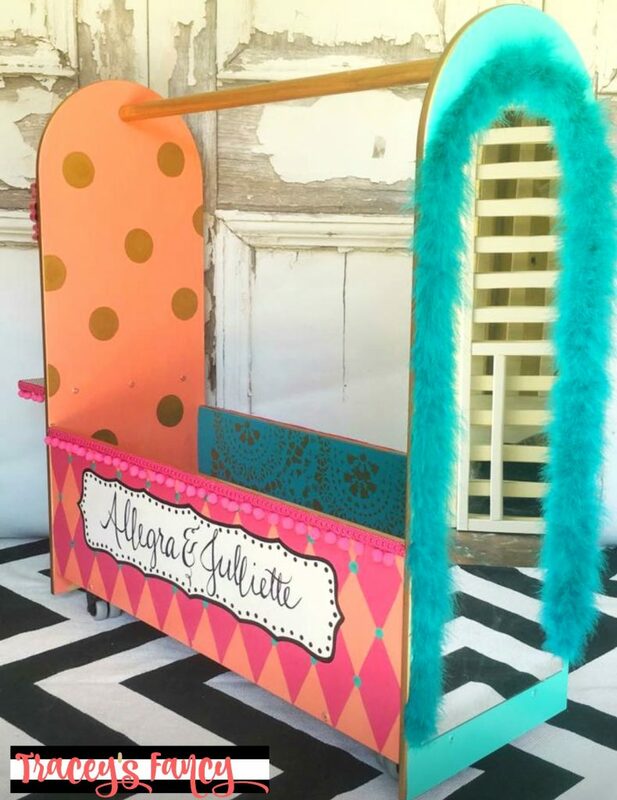 This cart would be shared by two sisters……Allegra and Juliette. I wanted them to see their names front and center on this wildly fancy cart! So I framed out the monogram and hand-lettered their names in a simple script….in bold black and white….and finished it off with a polka-dot trim! 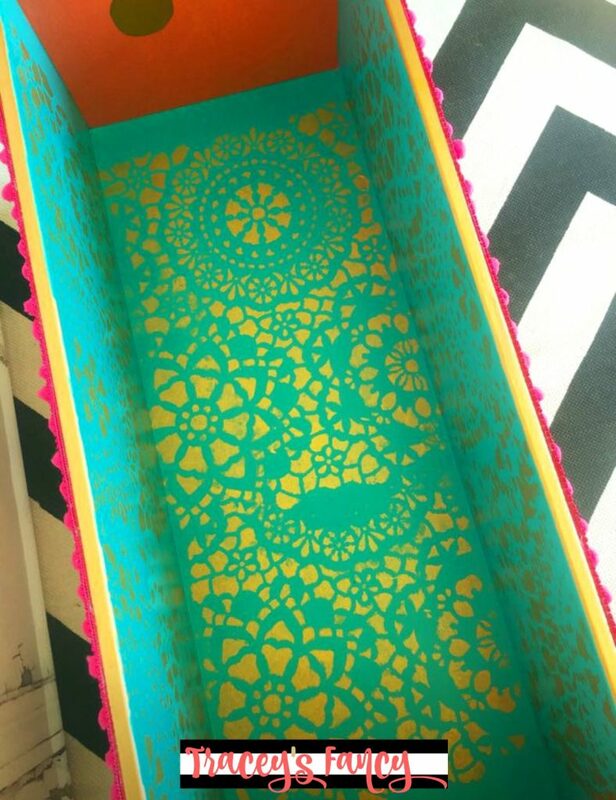 I finished out the inside of this dress up cart with Pure Ocean….and stenciled it with a lace stencil pattern … again using Modern Masters Olympic Gold . My stenciling is far from perfect here…..but I didn’t care! I knew that this was an added feature that not even necessary as it would be filled with dress up shoes and boots and tiaras and feather boas and fairy wands….and would hardly be seen. But for just a moment..while it is still empty….just LOOK how beautiful this metallic gold lace pattern is deep down inside this little dreamy dress up cart! I sealed the entire piece with DBP Clear Top Coat. I cannot stress to you enough how easy it is to transform ANYTHING with paint! 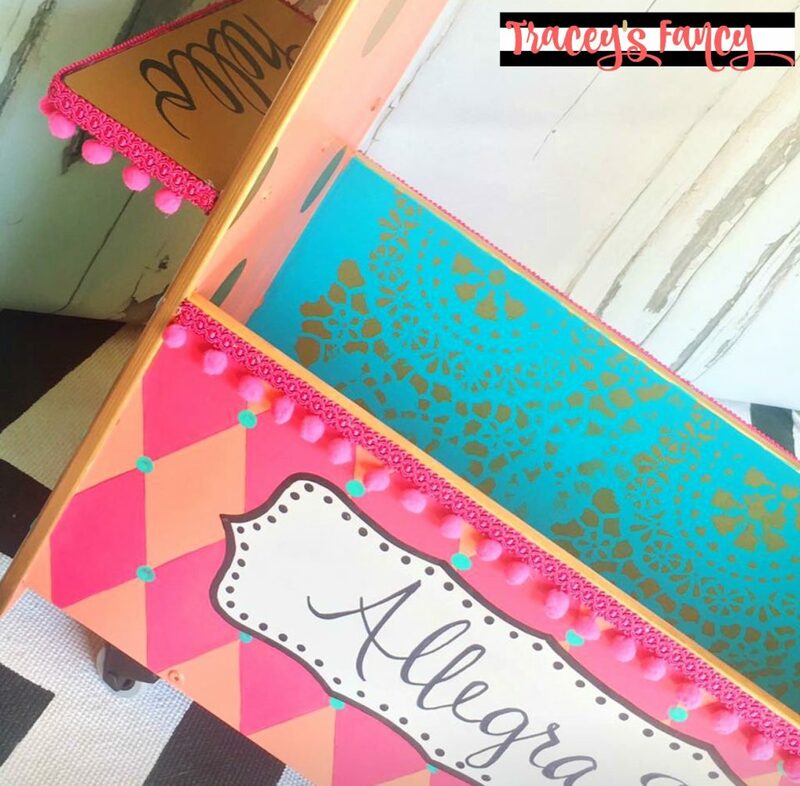 The paint companies have blessed us with these no-prep paints…and the stencil companies with these precut stencils…..and Pinterest with its wildly laid out ideas….and bloggers like ME telling YOU that YOU CAN DO IT!!!!! Try it! I challenge you to find something in your home that you have considered getting rid of. Choose a paint product that you’ve heard good things about. Not just any paint product! This will make or break your creativity. A good quality paint is KEY! 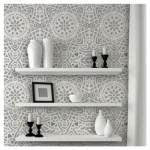 Clear yourself a little painting area….turn on some good music…..and just give it a try! Paint it….and seal it! You’ll be hooked! 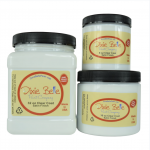 If you would like to try Dixie Belle Paints…..you can order these online at Dixie Belle Paint Company and few products from Amazon. 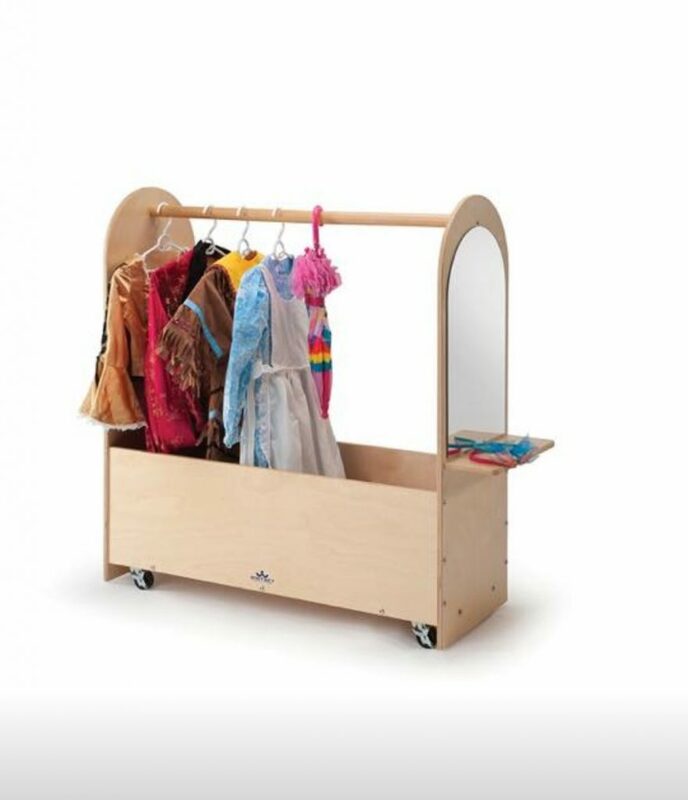 Please add my dress up cart to your Pinterest boards and follow me on Pinterest! Tracey…it’s always so fun to watch your creativity spring to life on these mundane pieces. I can only imagine how GINORMOUS those 4 little eyes will be when they see this little dress up slice of heaven! 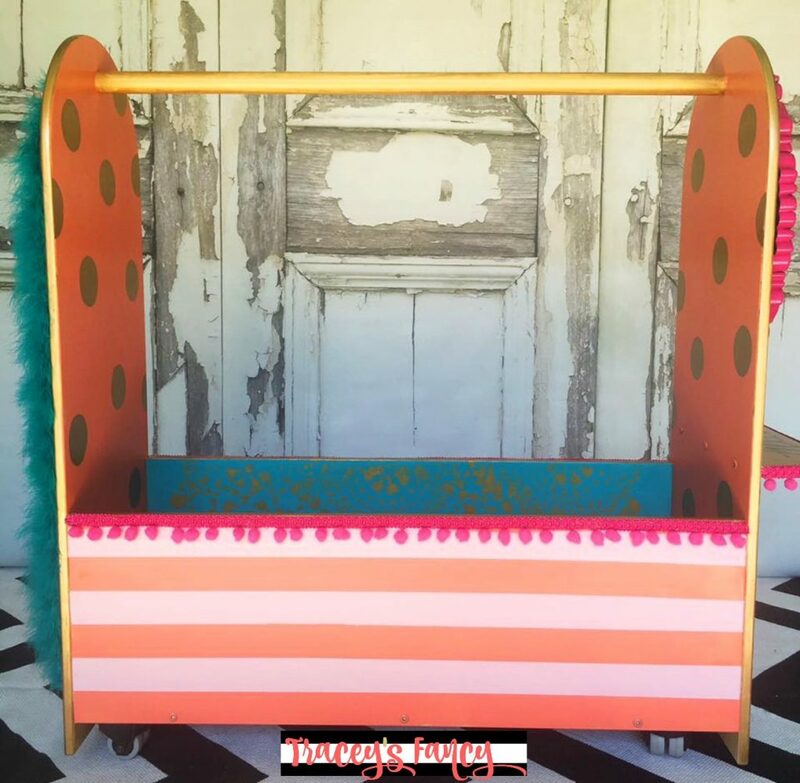 This is simply fabulous…the colors pop,the creativeness is unique and fun and the little girls that are so lucky to have this are going to have a blast! !